My new Nest and me. I needed a little help directing my house’s response to extreme weather. So it was time to bring on a new tech tool to join the home team. Some people love the summer heat. For the record, it’s my kryptonite. What’s the temperature in your home right now? X-ray vision could do the trick, but how can you magically adjust your thermostat from fifty miles away if you’re not Superman? 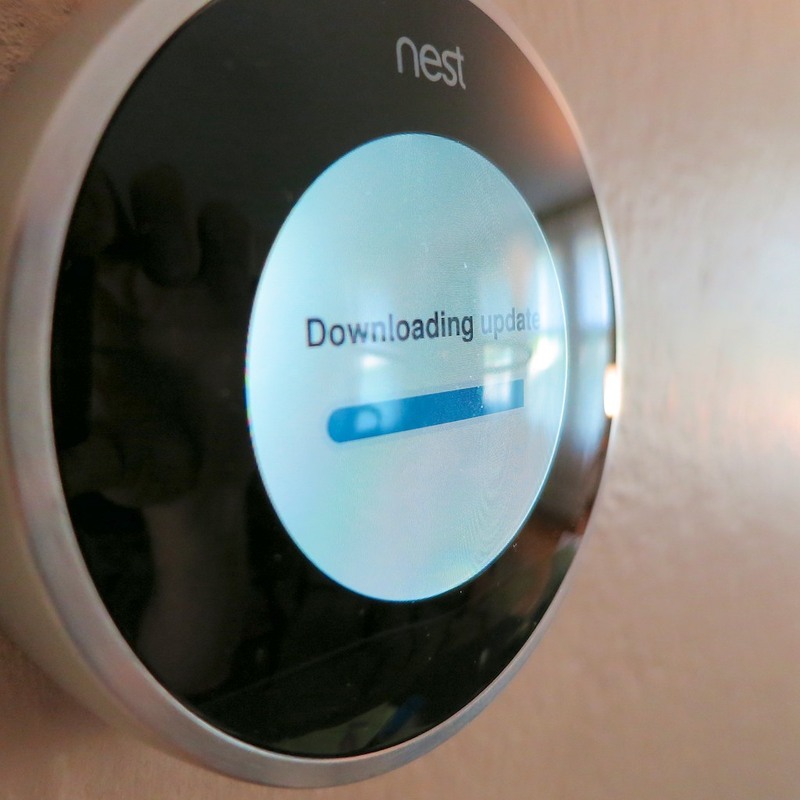 This is a job for… Nest! 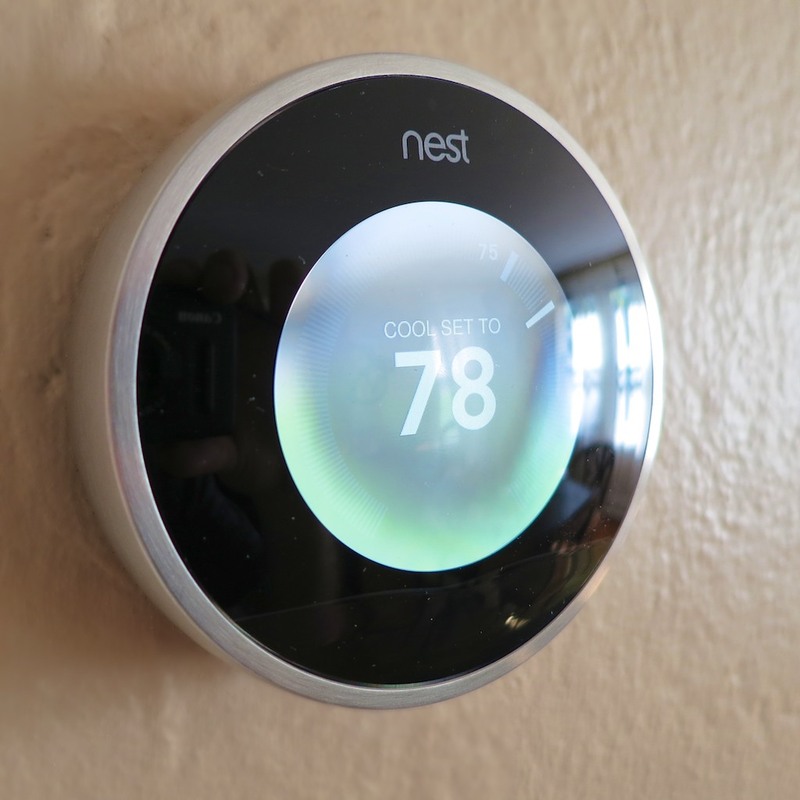 Nest is a learning thermostat, which you can control with your smartphone from anywhere in the world. She also observes your energy-use patterns and programs herself! Her goal is to keep you comfy and save you money. 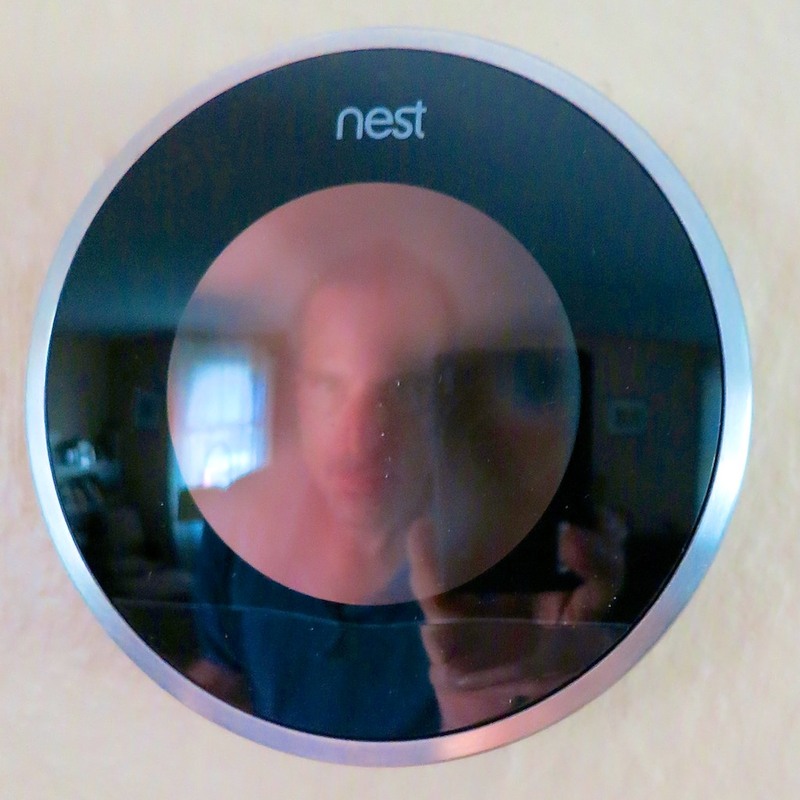 Last time on At Home with Tech, I decided it was time to buy a Nest for my little Fortress of Solitude. I’ve been a homeowner for more than twenty years. And I’ve made my share of mistakes on the home-improvement front. It was a few months after I moved into my first house, and there was an incredible spring rainstorm. My basement started to flood. I called the fire department fearing some sort of water main break, and they came by to check out the situation. ‘a bit.’ Everything was exactly as it should be. Mr. Fireman told me I needed to call a plumber to pump out my basement. …the lake in my basement was gone. As soon as he left, I walked back downstairs to continue the drying-out. To my horror, I realized I had acted too soon. I watched my basement fill right back up. The next day I bought a sump pump. The moral to this laughable tale of new homeownership is you’d better do your research before beginning any home improvement/repair project. 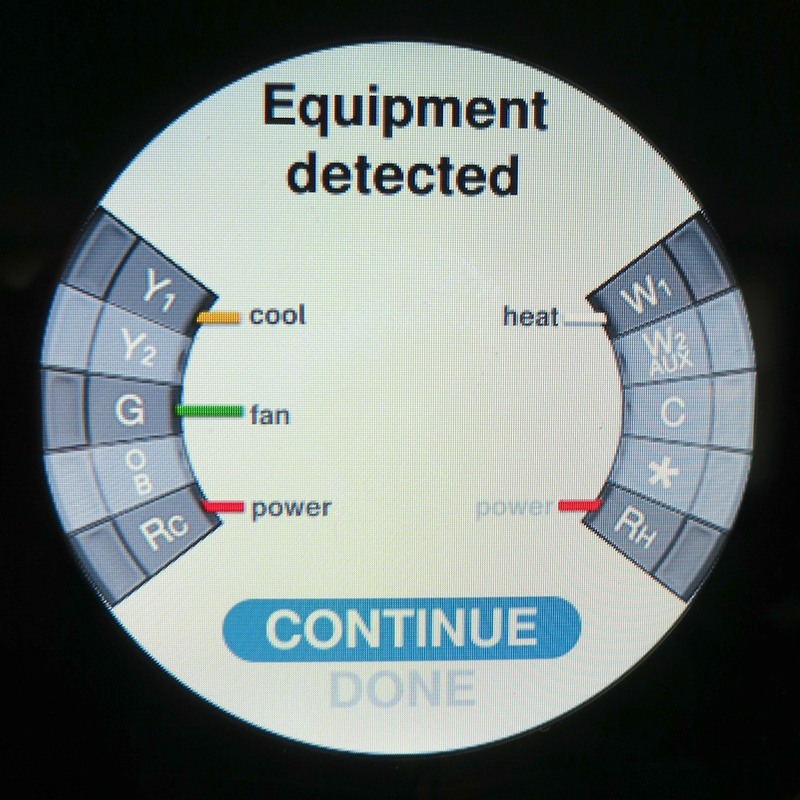 Many home tech improvements go beyond the relatively safe bubble of your desk, where much your technology lives. If you want to create a ‘smart home,’ sometimes you’ve got to roll up your sleeves and get your hands dirty! 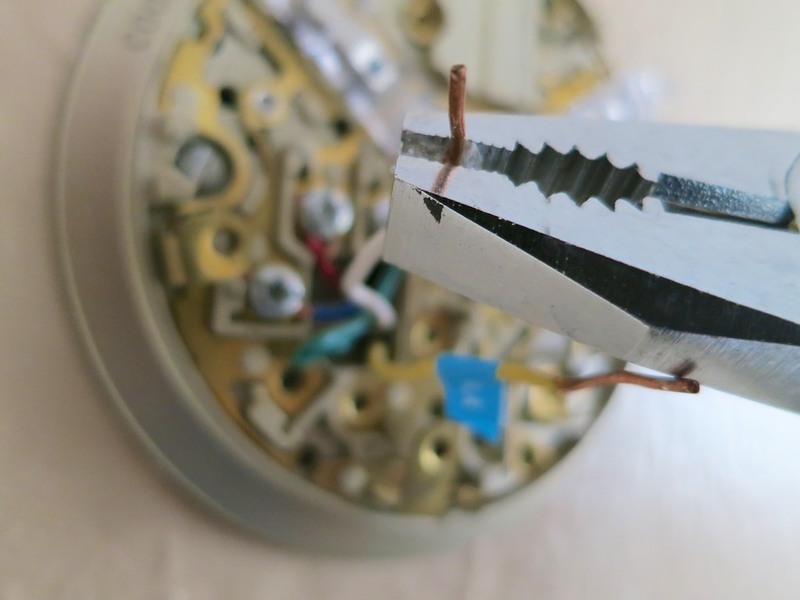 Replacing your old-school thermostat with a ‘smart’ one requires you to disconnect a few wires from one device and attach it to another. 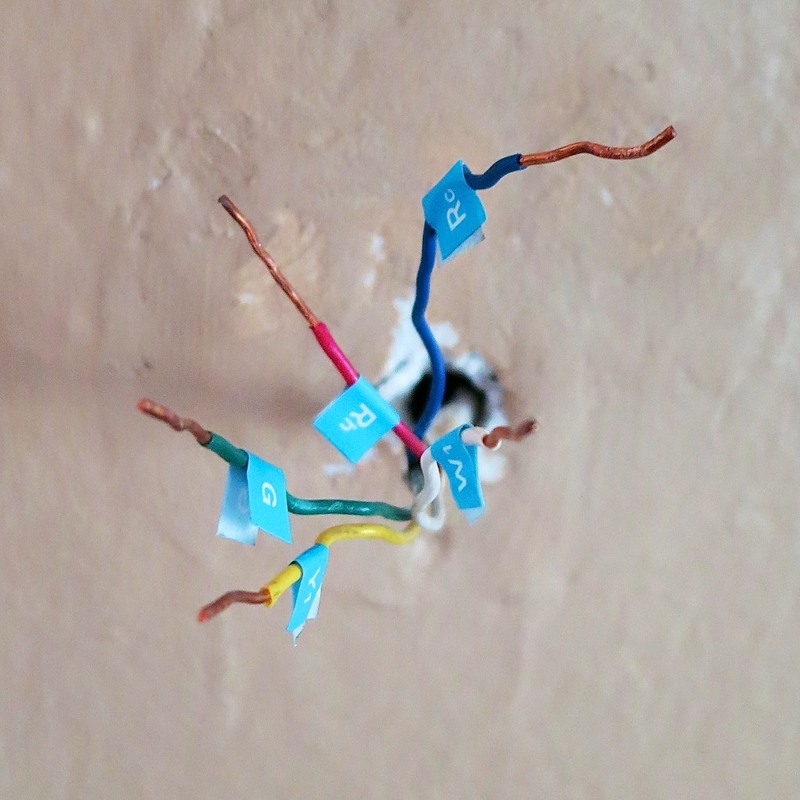 One potential problem is these wires carry some electrical current. 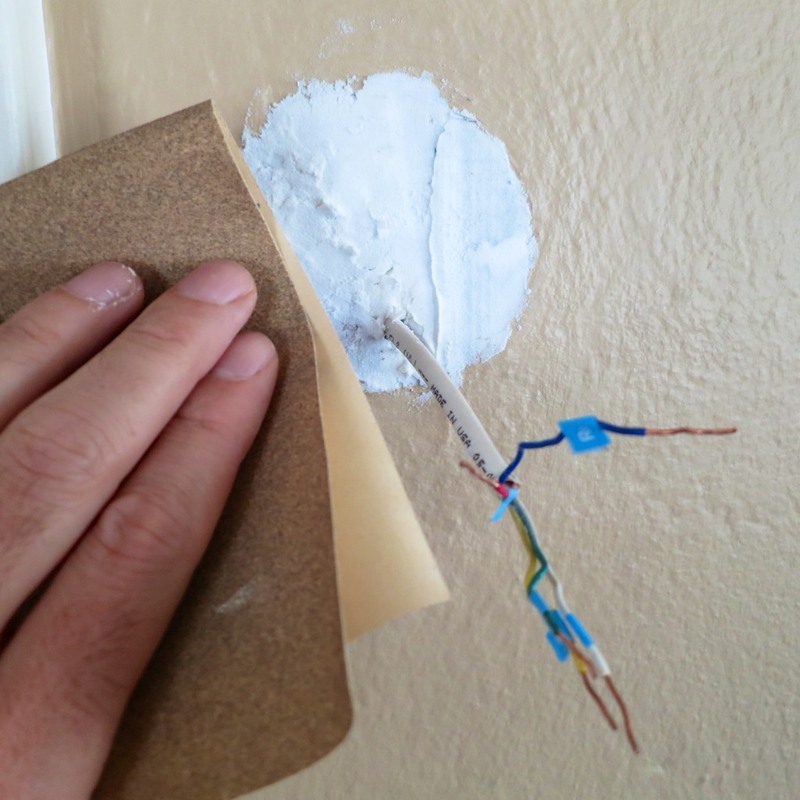 It’s not exactly like handling wiring for a power outlet, but you don’t want to get caught completing any kind of electrical circuit with your fingers. 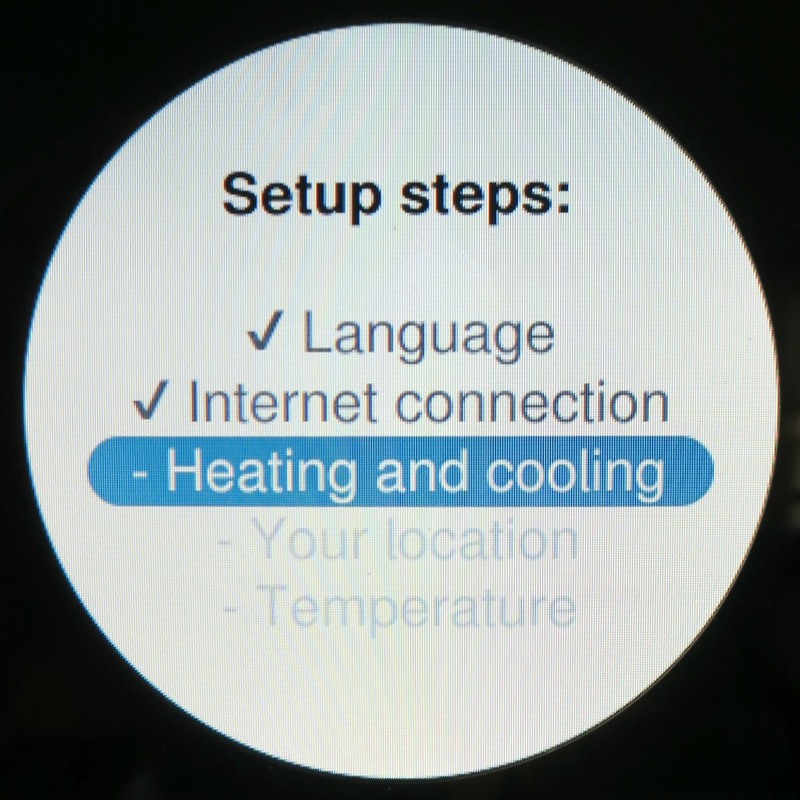 Nest clearly directs you to turn off the power to your furnace/AC, or if you can’t be certain you’re safe, just turn off all the power. Cutting the main breaker seemed like overkill, but it took me ten tries to find the right circuit breaker to flip. I’m not proud admitting this, but I didn’t realize till the ninth attempt that the bulk of my main electrical panel had been bypassed. my new portable generator last month into a new subpanel, underneath the original. That’s where most of the action now lived. With the power off, it was time to begin…. 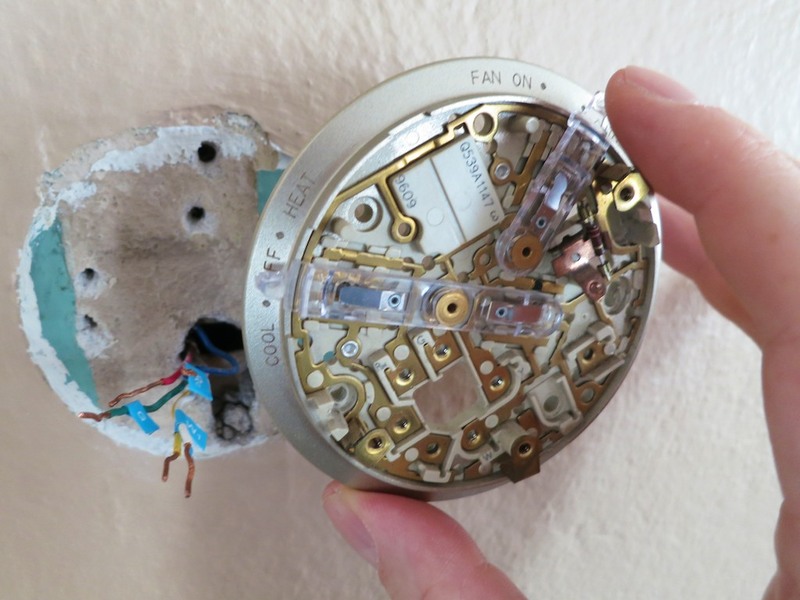 Sure, it didn’t take too long to remove the wiring from my old Honeywell manual thermostat and pull it off the wall. 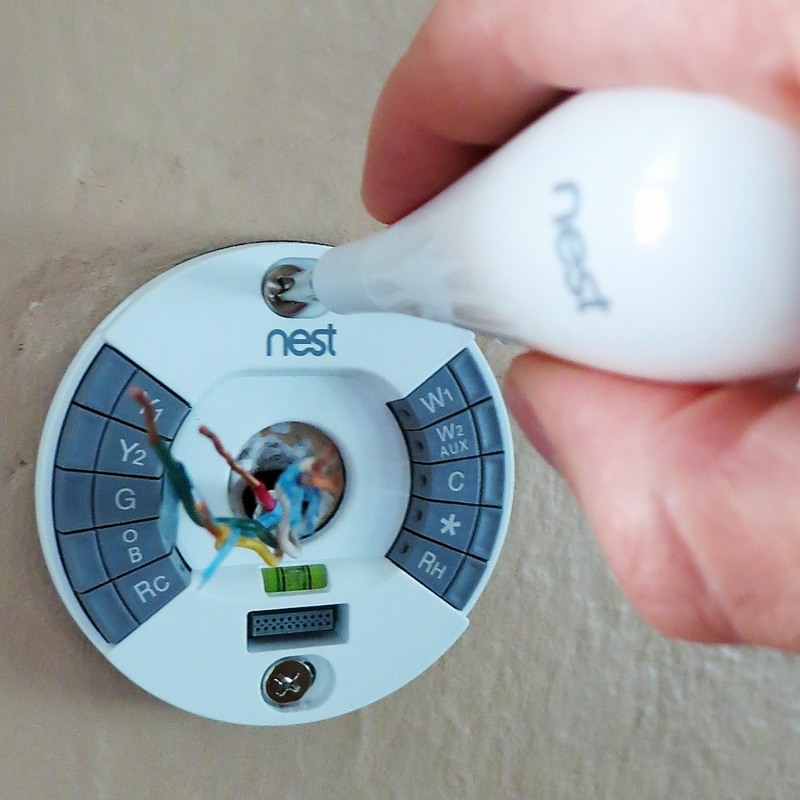 What the Nest folks don’t say is their stopwatch stops ticking as soon as you take a look at the ‘time bubble’ behind the old thermostat, and only starts running again after you’ve erased it. What I’m talking about is if you live in an older house like mine, the wall underneath the old thermostat has likely been hidden for decades. Even if the thermostat has been more recently replaced, nobody’s been minding the condition of the poor wall. My circular bare spot looked like a war zone from WW2. So a glop of spackling paste was clearly in order! Then, there was the tiny issue of the paint job. So my ugly green paint lurking underneath from the 1950’s (‘40’s?) would surround the Nest like a really ugly case of ring-around-the-collar! 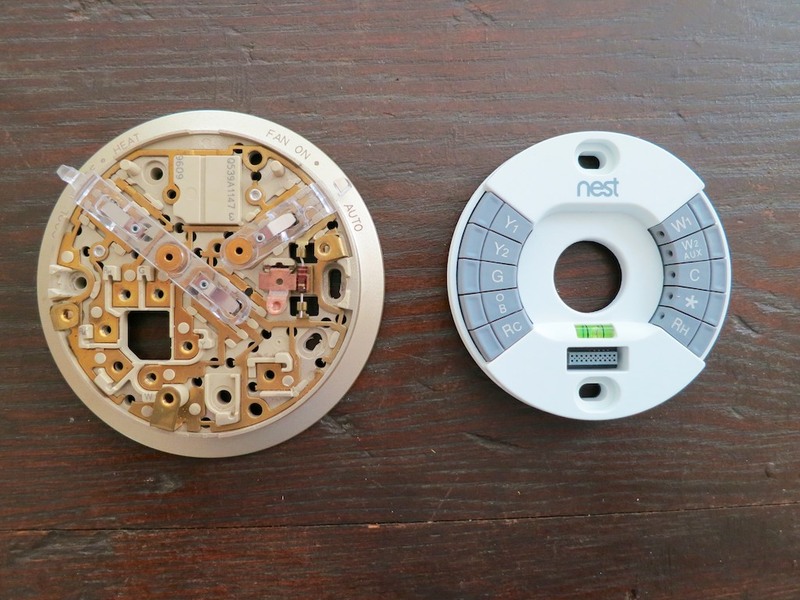 Nest provides a white rectangular plastic plate mount to hide all of this mess. But what’s the point of buying a cutting-edge product with a clean, Apple-like sleekness if you’re going to take the easy-way out by using a chunk of white plastic for the install? The only real solution: Repaint that section of the wall. I ran back upstairs and was greeted with a glowing screen displaying a home icon. My Nest had a heart beat! There really aren’t any provided instructions. You either turn the ring or click the front. Well, the setup was a joy. It’s really quite intuitive. First, I connected my Nest to the Web via my Wi-Fi network. 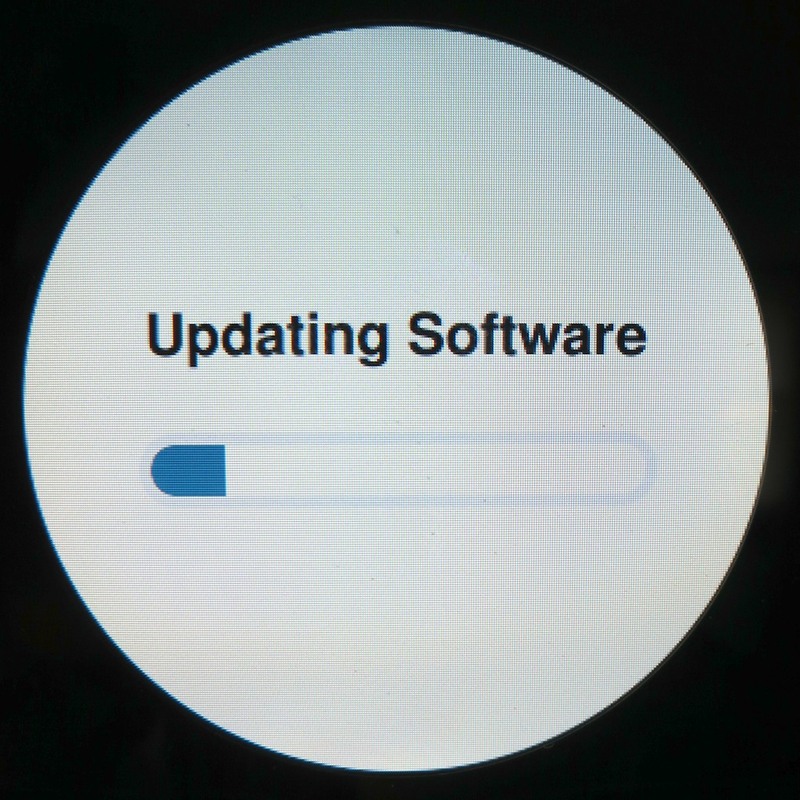 Then, she downloaded a software update… One moment please! She performed a self-diagnostic and displayed a diagram with all of the attached wires she sensed. I noticed the yellow wire was conspicuously absent. It appeared I needed to reattach the yellow cable. How do you take Nest off her base? I didn’t want to force anything and break the mount. But the solution was nowhere in the written directions. 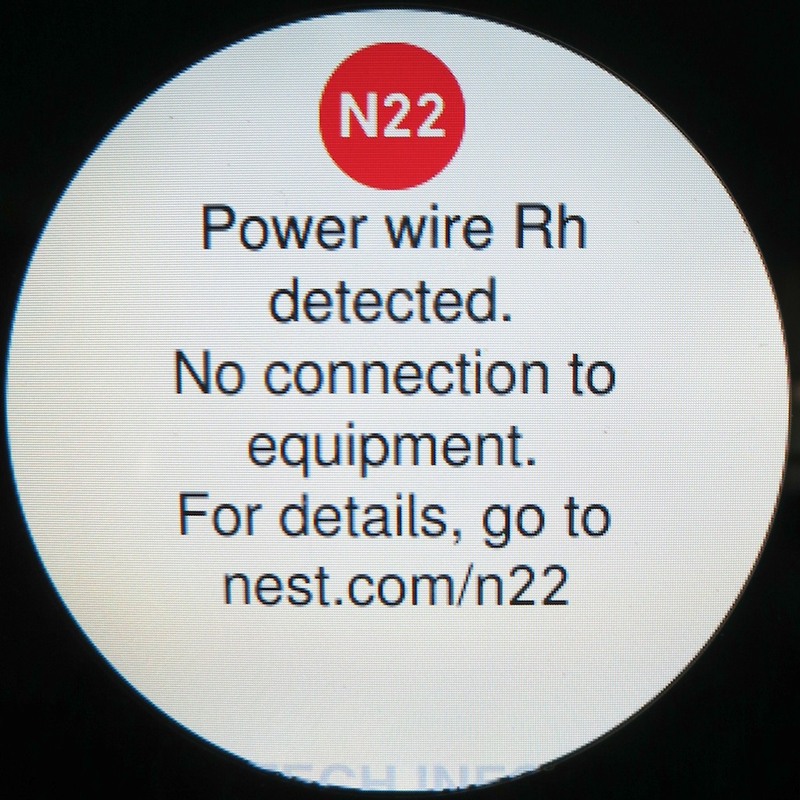 I scoured the Web and Nest’s support site for an answer. So I pushed in the yellow wire a little further and snapped the base back on. How Bad is Error Code N22? Apparently, another wire (Rh) was attached but not talking to my furnace. which normally connects to the heating system. “If your heating and cooling system is working correctly, ignore this note. Well, everything seemed to be working. Now the fun can really begin! Then I went back online and officially opened up a Nest account. Nest.com immediately recognized my computer was using the same Wi-Fi network as my Nest. And with three more clicks, my Nest paired with my new account. Then, I downloaded and logged into the Nest mobile app for my iPhone and iPad. In less time than it takes for a black hole to engulf the planet Vulcan, I gained the capability to control my Nest from anywhere around this globe. It’s official. My Nest has officially moved in. It’s going to take a week or so for my Nest to officially take over as it learns my energy-use preferences, but it’s great knowing I’ve already begun earning back my $249 investment. Yes, we’re only in the honeymoon phase. 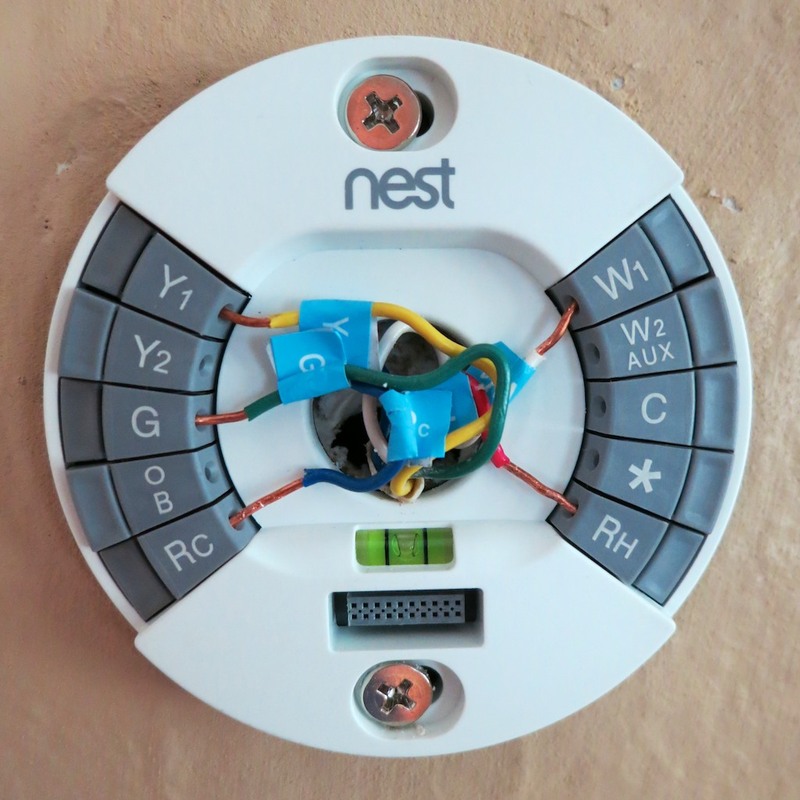 You may have addressed this but did you have multiple zones in your home and use multiple nest thermostats ? We’ve only got one zone…and only need one Nest. 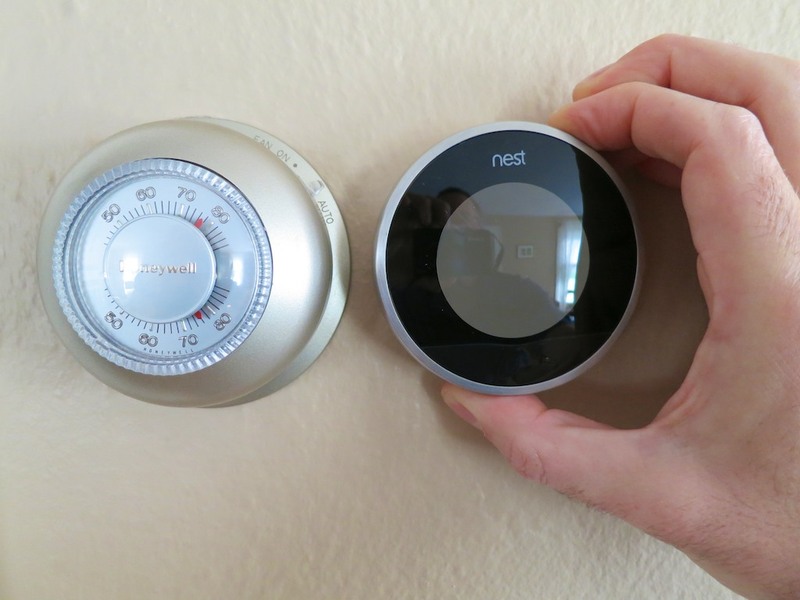 If you’ve got multiple heating/AC zones, then you need a Nest for each.